Amsterdam is home to many things, sights, smells, practices – all these will seem strange to any first-time visitor. And if you’re in Amsterdam on vacation, it might be valuable if you also learn to try the less conventional fare, the kind that would go beyond food trips and sightseeing. Of course, to stick with the food trips and sightseeing would mean being on the safe side, and being on the safe side all the time means all goes well without. Still, if all goes well without question, that’s a lot like staying home, isn’t it? And staying home is definitely not the same as being on vacation. Hence, if you are indeed going to make your vacation count, then there’s no doubt about it; you are going to have to do something quite outrageous, quite unexpected, quite out of character. Here’s a good example: if you’re in Amsterdam, visit a few of its famed ‘haunted’ places and try to challenge yourself to face your fears. 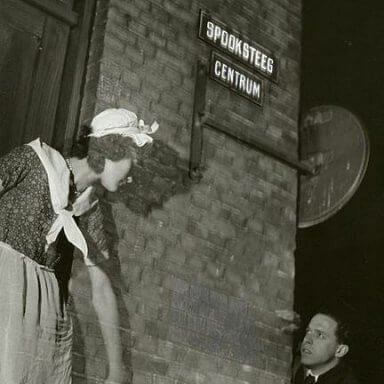 When you have the chance to visit the Red Light District of Amsterdam, be sure you pass by Spooksteeg, or Ghost Alley. 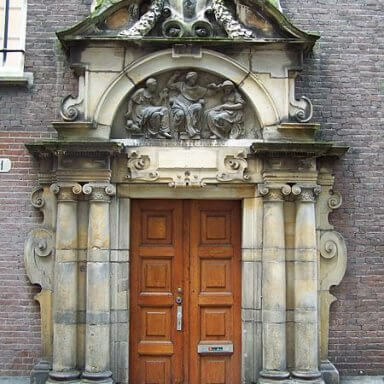 This is the oldest part of Amsterdam in the area of the Red Light District, and most people say that one of Amsterdam’s oldest ghosts stay here. What’s the ghost’s name and what’s the story? Her name is Helena, and her story goes like this. In the 18th Century, Helena lived in the area with her sister Dina and their father. A sailor falls in love with Dina, but Helena grows jealous and kills Dina in her jealousy. Eventually, she marries the sailor, admits to the murder in her deathbed, and the sailor curses her soul, dooming her to eternal misery. To this day, people say that her cries can still be heard in the area. Located right at the heart of the city, Dam Square is where the Royal Palace is located. In the day, this area is full to the brim with energy, busy with its own day to day affairs. At night, however, Dam Square takes on an almost entirely different vibe. You see, in the period of the Spanish Inquisition, what took place here were a series of burnings at the stake, especially for people who were accused of witchcraft. To add more spice to the story, it is said that their tortured souls still roam Dam Square at night. Of course, it’s just a story…or is it? Today, you might know of The Spinhuis as a popular hotel. Well, yes and no. Yes, because it really has been developed into a hotel, one that you can easily book as your accommodation for your vacation. At the same time, it’s not just a hotel, mainly because in the past, it used to be a penitentiary for women, where the women were made to sew garments. But that’s not the scary part. It is also said that a woman and a priest fell in love, but of course their love was forbidden and they could not be together. The girl had to live off the rest of her years at The Spinhuis, and the priest committed suicide. Presently, there is a room inside the hotel that the priest is said to haunt still, and even the maids at the hotel refuse to enter it. Sure enough, your vacation won’t be complete unless you have your adrenaline rush. And there’s probably no better way to have this rush than by rousing the hormones to life, as you visit any of these ‘ghostly’ places in Amsterdam. 220 visitors rated Haunted Amsterdam? average 4.58 stars out of 5.